The camping Costaponente is one of the most scenic location on the north coast of Sicily, near the lively town Cefalù is located since its inception under German management. The place is open from 1 April to 31 October of each year. We have four acres available on which they can holiday with caravan, tent or in our mobile homes. The area is planted with various trees, shrubs and hedges, terraced and flanked by two paved roads. A separate parking of cars is necessary for reasons of space only in the high season in July and August. In the square, 10 meters above sea level, offers a mixture of earth and a bit of gravel, so that the passage on the premises is not a problem for wheelchair users among our guests. The motorway exit Cefalù Ovest on the A20 Messina-Palermo is just a kilometer away from us, the nearest large town, Cefalu, three kilometers on the main road SS 113 in an easterly direction. Here is also the nearest railway station, to keep the intercity trains. 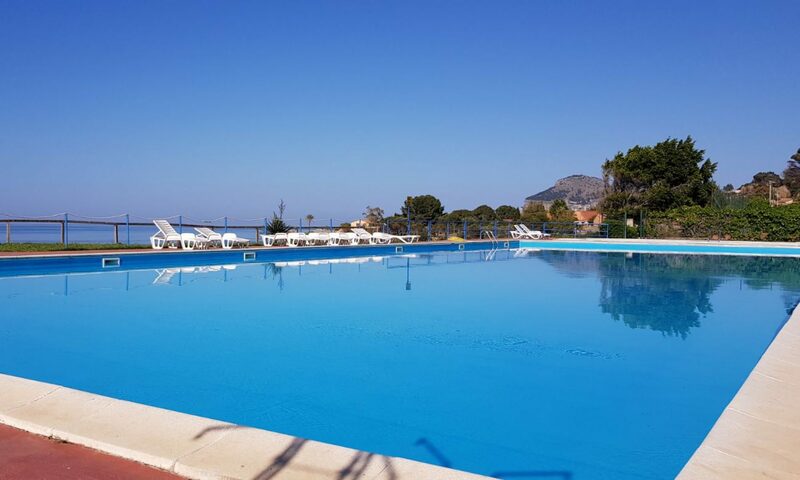 The nearest bus stop is just 200 meters from the camping area, daily take you to several buses on the way to and from Cefalù, Palermo and the surrounding villages.